Our answering service management team has many years of experience in call center, telephone answering and operational call management. Our flat answering service outsourcing management structure enables effective decision-making which ensures a fast response to any request from our clients, giving us the opportunity to customize our services. Our team will focus efforts on workforce management. We will make sure through our training and HR departments that we constantly elevate the skills and knowledge of our operators. More importantly, our leadership has put in place performance and development plans to make sure our operators are happy and motivated to perform their job to the best of their ability. Our friendly and up-beat work culture has paid off and ensures operators arrive to work when they’re scheduled to and in good spirit. Our management team constantly helps our employees envision what their short and long-term goals are so they stay determined to reach that objective and perform well. All our answering service representatives are monitored and constantly tested to evaluate their performance. We have a team that strives for perfection and seeks constantly opportunities for improvement . We have in-house quality assurance department that listens to calls and ensures operators are following procedures by marking off checklists. The representatives are given a score and advised after analyzing a certain number of their calls. If needed, operators are pulled off live calls and go through a customized training session until their performance meets “gold” standards. All our operators work under the close supervision of our Supervisors who have many years of experience in national phone service, call center operations and problem resolution. Our live operators are trained to follow procedures and to resort to their supervisor who can also take care of escalated calls. All of our supervisors report to their regional managers and provide weekly reports so upper management is aware of operations. Supervisors meet in a weekly basis with their supervisees to exchange ideas. 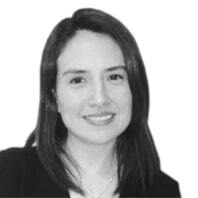 Vivian Borja is the Vice President for the Otte Polo Group and its subsidiaries. Vivian is a dynamic, multicultural and multi-lingual senior marketing professional and has over 15 years of experience. Maria Salas joined Geeks on Site in 2010. She is responsible for the company’s day-to-day operations and has maintained her position bringing vitality, professionalism, warmth, and a mindset of service and advocacy for all of our customers and work environments for several years. Her successful initiatives for the company include; the establishment of new operations offices in different countries; new departments such as Quality Assurance for our Customer Service, Remote, and On-site; among others. 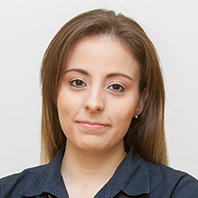 In addition to managing operations for the company, Maria enjoys reading books during her free time. 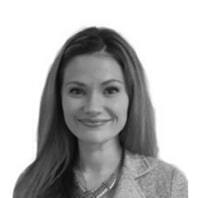 Casey Meredith has over 9 years of experience in the call center and answering service industries. She joined our Pittsburgh location in 2007 as an agent, later promoted to supervisor, and since then has been a proactive member of our team. Her inquisitive nature promoted an interest in industry systems and software which lead to her being involved in IT. Casey’s hands on experience and innovative outlook offer our client’s new service opportunities that meet each and every one of their needs. 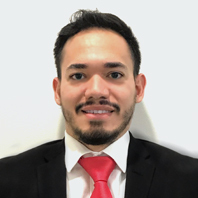 Prior to joining our team, Gabriel established a successful performance record at SITEL. Over the course of 8 years, he had held several positions, including Operations Manager. Throughout his career, he has successfully achieved quality processes and has increased performance standards. He is a motivated and strategic manager that strives for team efficiency and service excellence. Barry Nutter is the Operations Manager for our Florida site. 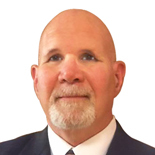 Barry has over 30 years of experience in the Call Center Industry, and has a strategic mindset that strives for service excellence and unity among his teams. 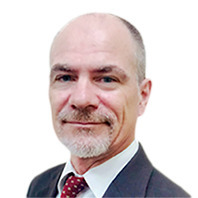 Prior to joining our team, he had a very successful career with Sitel where he held several positions, including Director of Account Operations and Operations Manager, and was instrumental in setting up new businesses in Asia. 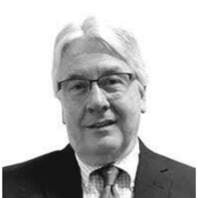 With over 35 years of sales and management experience on a national level, Joe has developed a seasoned portfolio. He joined Responsive Answering Service in 2012 and he continues to thrive while currently based in the Pittsburgh, PA Office. Chris joined Responsive in the year 2016. He has over 25 years of experience working in sales and brand development, and has established a profound understanding of international sales, finances, and business development. He is recognized as a dedicated and charismatic member of the technology and telecommunications industries.